Dickens' Village Series® The Coffee-Stall St/2Step back in time to the cobblestone streets, gas street lamps, and horse-drawn carriages of our 19th century Dickens' Village Series®. 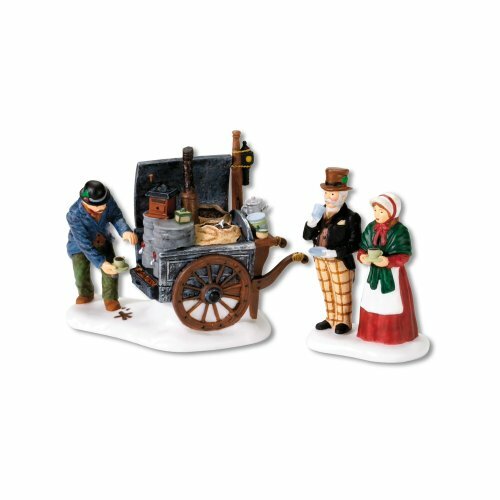 Introduced in 1984, this series has many hand-painted porcelain pieces inspired by best-loved Dickens' novels including A Christmas Carol. Introduced May, 2003, measures 2.5 x 2 x 2.5, 1.75 x 2.25"
Lowest Price Guarantee and FREE with Super Saver Shipping.